Technalon® car covers, made with Kimberly-Clark’s (K-C) Evolution® fabric, provide an excellent protection value in all weather conditions. 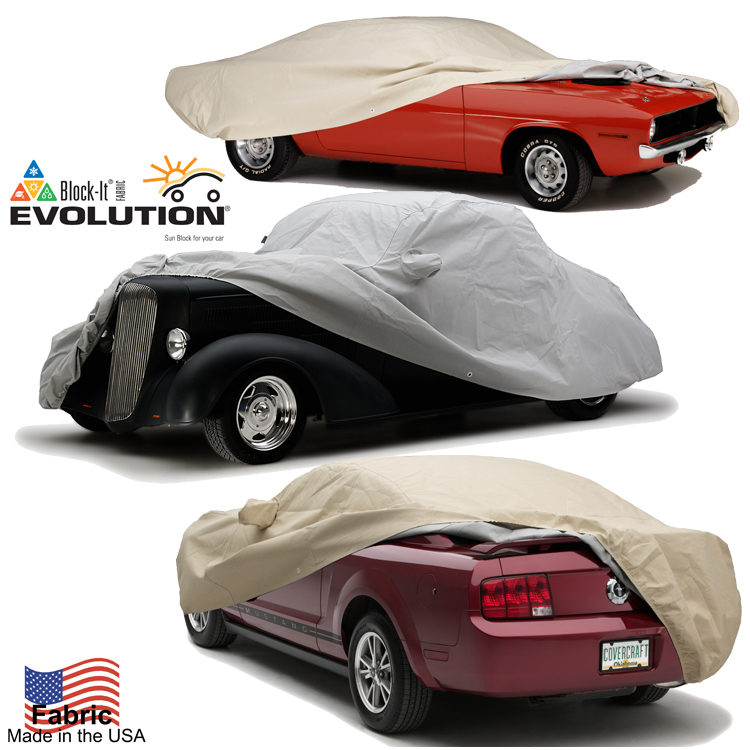 Often imitated, but never equaled, U.S.-made Evolution® fabric car covers are used by millions of car enthusiasts around the world. Evolution® has the highest UPF rating to provide maximum protection against damaging UV rays. Protecting your paint and interior helps maintain the vehicle's value. Polypropylene fibers are bonded into a durable 4-layer non-woven finish that includes a soft bi-component inner layer of polyethylene and polypropylene fibers.